Before the 1920’s, severe iodine deficiency was common in certain segments of the U.S. population. Iodine deficiency even disqualified some men from serving in the military during World War I; so the U.S. began adding iodine to table salt in an effort to reduce the deficiency nationwide. Since that time, the importance of iodine intake has received little attention. Research indicates that mild to moderate iodine deficiency requires a closer look, and is especially true when these deficiencies relate to pregnant and lactating women. 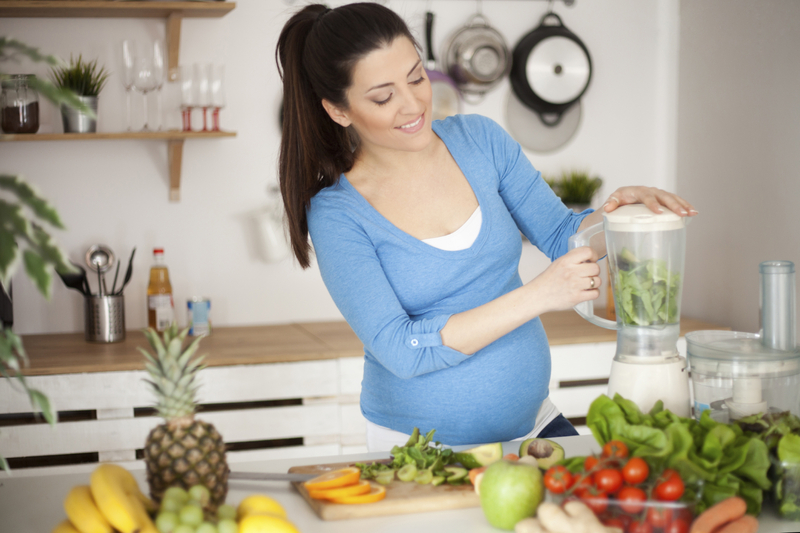 Pregnant women need more iodine due to the physiological changes that occur in iodine metabolism. These changes include an increase in renal iodine losses and transfer of iodine to the fetoplacental unit. Iodine is necessary for thyroid hormone production in the developing baby because it helps achieve normal brain and nervous system development. Severe deficiency is linked to an underdevelopment of mental and physical growth and marginal deficiency may cause a decrease in brain function. Although iodine deficiency has been an issue in areas where universal salt iodization has not been achieved (iodized salt consumption in more than 90 percent of households), recently, even countries with universal salt iodization (think U.S., UK and Australia) have seen a re-emergence of moderate iodine deficiency. This may be due to changes in how we eat. Another one of the best natural sources of iodine is seafood, but seafood intake throughout the U.S. remains low, particularly for individuals who do not reside near the coast. Additionally, pregnant women often stay away from seafood to reduce their exposure to mercury. Although the majority of pregnant and lactating women in the U.S. take some kind of prenatal/lactation supplement, merely 15 to 20 percent of these women take a supplement containing iodine. The World Health Organization (WHO), recommends pregnant and lactating women intake 250 µg of iodine every day; whereas the National Academy of Sciences and the American Thyroid Association recommend an iodine intake of 290 μg a day: Reaching this recommendation usually requires supplementation with 150 μg of potassium iodide.